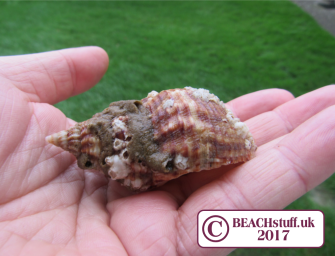 I picked up this small whelk shell on the strandline one day. I had a look inside it to make sure there was no snail or hermit crab inside but there was nothing, so I popped it into my pocket. Later that day, look what crawled out! 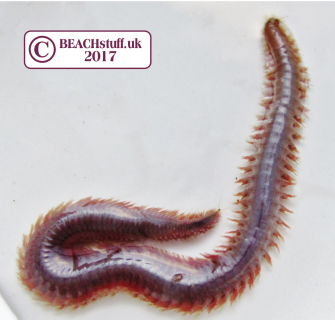 14 centimetres long, this is a ragworm. 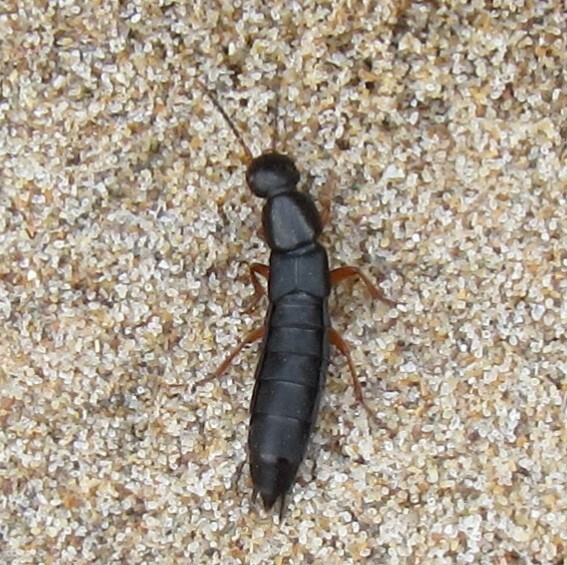 A worm that usually lives under rocks or buried in sand and mud where it scavenges for dead plants and animals. 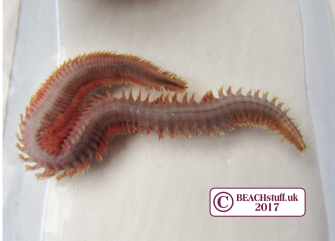 Many thanks to Kate Mortimer-Jones who has got in touch with a theory about why the ragworm might have been in the shell. 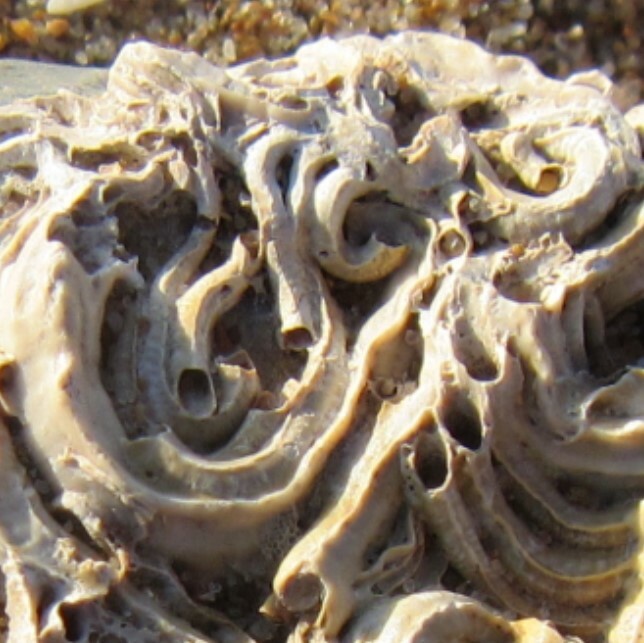 She has observed ragworms living in shells with hermit crabs. When the hermit crab eats, the ragworm is in an excellent position to steal a bit of food. 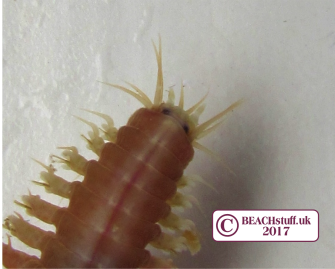 Maybe our ragworm stayed in the shell after his hermit crab had moved to a bigger shell? Kate sent us the incredible below which shows a hermit crab feeding and a ragworm leaning over its shoulder to grab a bite or two.